A surprise film for me this year was Mad Max: Fury Road. For much of the trailers and marketing, I wasn't buying it. I didn't like what I was seeing, and I just wasn't interested. But then the critics were raving about it, and I finally decided to see it. It ended up being my favorite film of the year for a while. 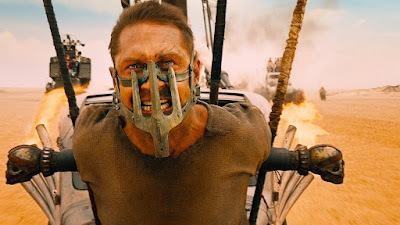 You can read my review for Fury Road here. So I am without a doubt excited for a sequel. Director George Miller has said that he wants to do a sequel, as well as a spin-off of Charlize Theorn's character, Furiosa. But it was unknown whether Miller would even do these, since the director is pushing 70. We recently talked about how Miller won't be doing Man of Steel 2, like previously rumored, since he wants to do a smaller, independent film next, which you can read here. Apparently, that statement goes toe-in-toe with the future of Mad Max. "I want to do a small film without special effects before I do any of that, just to do it quickly. We shot Fury Road for eight months... that's a lot. Every day in the heat and the dust, doing these stunts, it's very wearing. We've got two more planned, but at some point in the future." Like I said on "Nerd Round-Up", I completely respect Miller's decision to do a smaller film first. After putting so much love and care in Fury Road, he deserves to take a break. No one wants him to rush, burn himself out and make something that suffers in quality. But the more interesting part is his plans for future Mad Max movies. He says that they have two more planned at this moment. The question now becomes this: is this a new trilogy, or is one of these films a Furiosa spin-off. 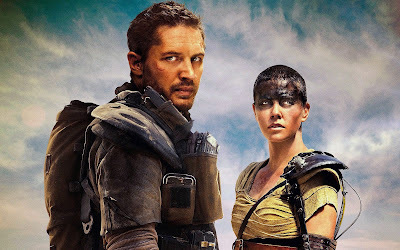 Fury Road was ultimately Furiosa's movie, and Theron can without a doubt carry her own movie. She and Tom Hardy clashed a lot on set, and had a very hard time working together. So I wouldn't be surprised if the studio's solution is to branch it off into two film series, Mad Max movies and Furiosa movies. It would solve the cast issue, and allow for a lot of new ideas. As to whether George Miller wants to direct both these movies or if he is only working as a producer is unknown. If he wants to direct, however, then I think we won't be seeing these films any time soon. What do you think? Did you like Mad Max: Fury Road? Do you want to see more films? Would you rather see a trilogy or a Furiosa spin-off? Leave your thoughts in the comments section below.